Moving to Shanghai - Compare International Movers & Save up to 70% ! Moving to Shanghai could be the biggest move that you ever make. You can avoid some of the stress and do yourself a favor by hiring the right international moving company to help you. Requesting international moving quotes with Intlmovers is quick, easy and absolutely cost free! You can save yourself both time and money by requesting a number of quotes in a single request and comparing moving services. After selecting your moving from and to locations from the easy to use drop down menu below, you simply need to complete a few basic details about your move and you’re done! The request is sent automatically and directly to the moving companies who specialize in the route that your international move will take. It is an easy way to get the right information, for a minimal investment of your time. When you compare quotes, you can gain a much better idea of the different options that are available to you for your international move to Shanghai. Depending on the overall services that you need, the total prices may vary considerably. Make sure that you know exactly what is covered on your quote so that you can compare value, rather than price, for your international moving budget. The international moving companies have years of experience with moves to Shanghai. Located on the mouth of the Yangtze River in the eastern part of China, Shanghai is not only the largest city in the country but also the most populated city in the world. The estimated population of Shanghai is over 23 million people. Shanghai is a county that is broken in to districts, with 210 towns and sub districts. The city covers an area of approximately 6,350 square kilometers. The visa requirements for Shanghai vary depending on your nationality and your reason for wishing to travel or stay in mainland China. The only visa types that you can obtain without additional support from a local business, government or educational institution are the transit visa and the tourist visa. The other main types of visas are the work visa, study visa and business visa. Work and student visas are generally issued for a period of 30 days. This allows you the opportunity to then request a Temporary Residence Permit upon arrival, to extend your stay (usually to a maximum of one year) with unlimited entries to the country. When you are arriving on a work or student visa, then your employer or school/university should help you with the arrangements for your permit. This permit usually involves a physical examination, as well as you providing a number of documents along with your valid passport and accommodation confirmation that you need to arrange with the local police station. The processing fees for Chinese visas also vary depending on your nationality. Passport holders from the following countries are covered under the Visa Fee Abolition Agreement and have no applicable fees for a visa (except for express processing fees): Pakistan, Maldives, Bulgaria, Bosnia-Herzegovina, Poland, Yugoslavia and Slovakia. It is generally suggested that the processing takes four working days. Note that the PRC (People’s Republic of China) have different visa requirements for arrival in Hong Kong, Macau and Taiwan. 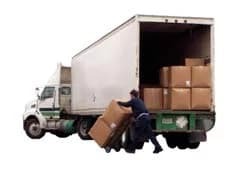 The international moving companies that promote their services via Intlmovers have years of expert experience in international shipping and moving. They are relocation specialists that understand all the ins and outs to ensure that you can enjoy a stress free move to Shanghai. You can relax when you submit a quote with Intlmovers. Your request is made completely obligation free, which means it doesn’t matter how many quotes you receive, if you are not happy with the response then you do not need to accept it. It is a completely risk free way of comparing prices and services and getting the best deal – obligation free!